christmas is so close and I hope you are well prepared. as I’m typing this up I’m still anxiously waiting for a parcel to show up as I had to return a gift and let’s all keep our fingers crossed that it turns up in time for Christmas. one thing that I love to do to truly relax, calm down and mentally arrive in the Christmas celebrations as the days right before always seem to be the busiest. I want to make sure my to-do list is worked through and everything is ticked off and in place. right now, there are still a million and one things to do and it makes me wish once more that I was little and there was nothing to worry about in the days right before Christmas. 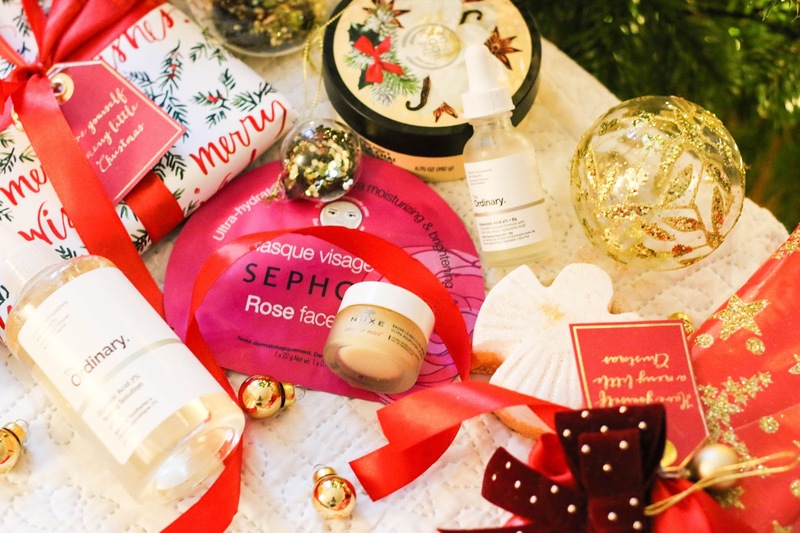 so when everything is finally in place theres nothing better than a pre-Christmas pamper. running a hot bath, getting the face masks out and making sure you are well rested and ready for the Christmas celebrations ahead. a must for me when it comes to a good pamper is a bath. I need my long and warm bath with a Christmas film on the side. I love adding something that will make my skin feel extra soft and it usually is the snow angel bath melt from Lush. it has a little bit of gold glitter and had a very light cocoa butter scent to it. its the best for a good festive pamper and will make your skin silky soft. to enhance the softness and make sure my skin is very well moisturized I use the body butter with the best scent ever. its the body shop vanilla chai. the scent is incredible. so sweet but yet spicy and I can’t get enough of it. 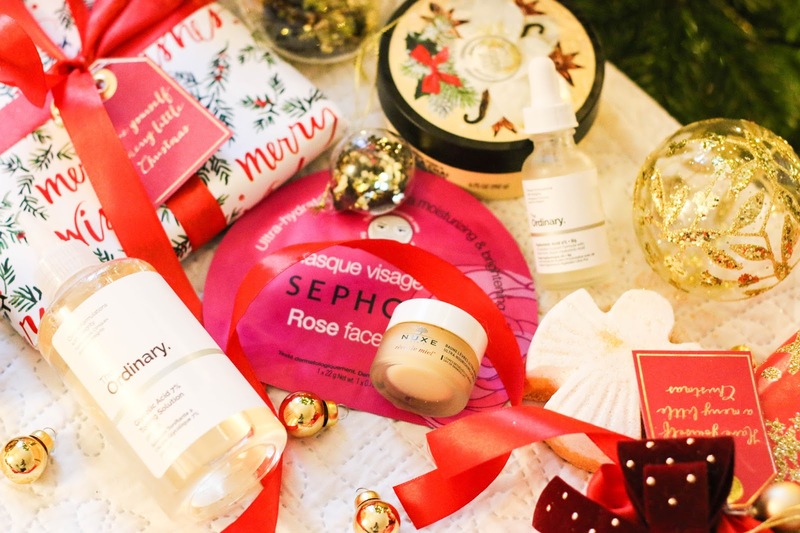 another very important step has to be skincare, especially before festivities. I love doing sheet masks and the Sephora own brand ones are lovely. the rose one for hydration is my favourite. to make my very dehydrated skin happy I like using a glycolic acid to exfoliate my skin. not every day, only once a week and it really makes my skin glow. the ordinary is my favourite skincare brand ever. I also use their hyaluronic acid and rosehip seed oil at night. 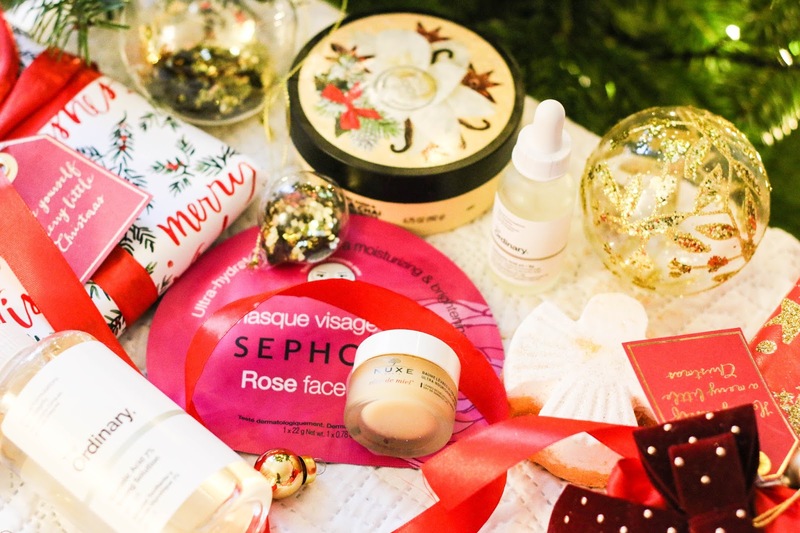 to finish of my skincare, I add my favourite lip balm, nuxe eve de Miel, and settle for a relaxing night on the sofa with the holiday on, ready to wake up for Christmas the next morning. 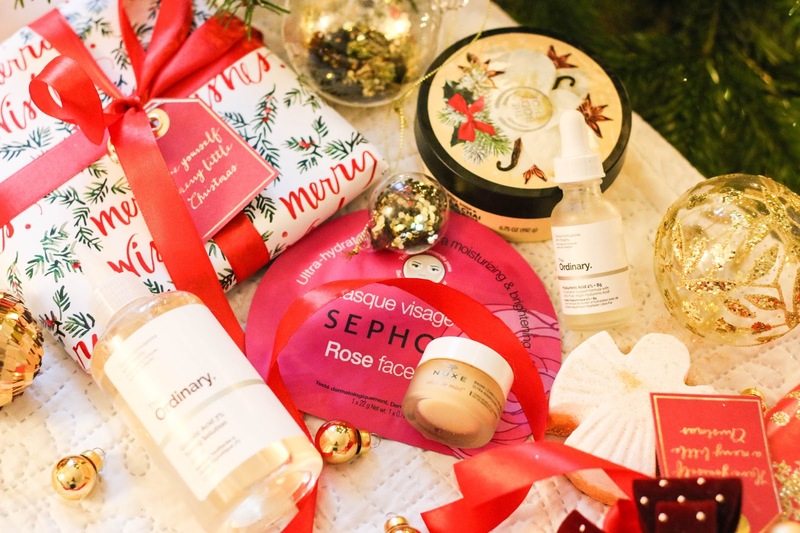 do you have a christmas pamper routine?